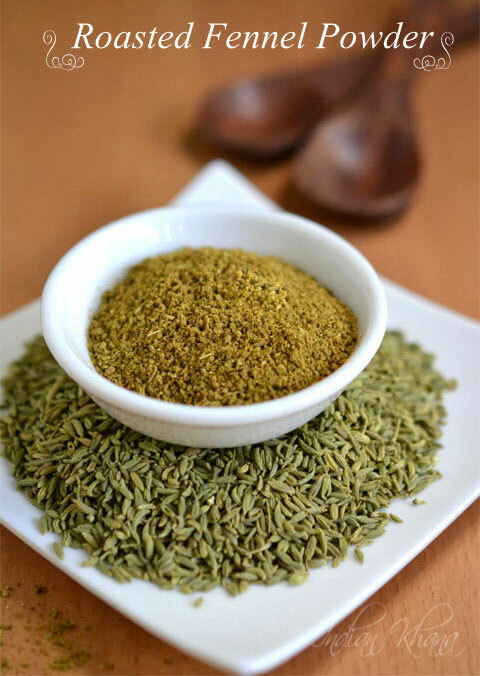 Homemade roasted fennel powder recipe is easy spice powder recipe which we can do in jiffy to have fresh, flavorful and aromatic fennel powder. Like I mentioned in roasted cumin powder recipe some times store brought spice powder gets spoiled very soon or get worms fast so I prefer homemade spice powder any day than buying these easy things. Everyone have their own favorite spice in kitchen like mustard seeds, cumin seeds etc for me personally must have spice is cumin and fennel seeds. 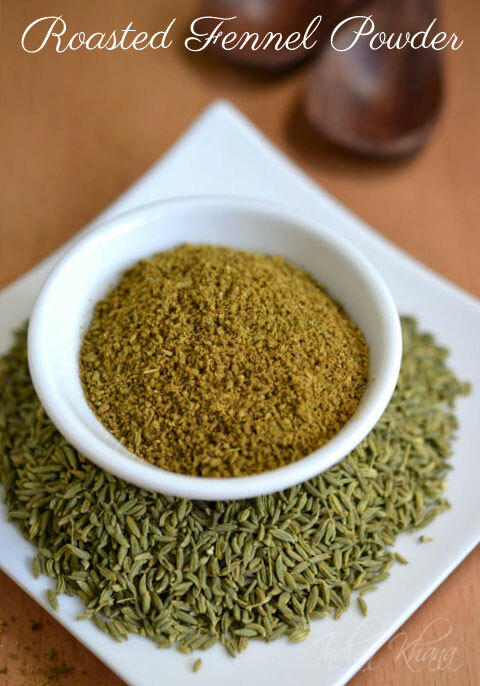 Fennel seed in any dish makes it more flavorful so I add a fennel seeds in most of the recipes. 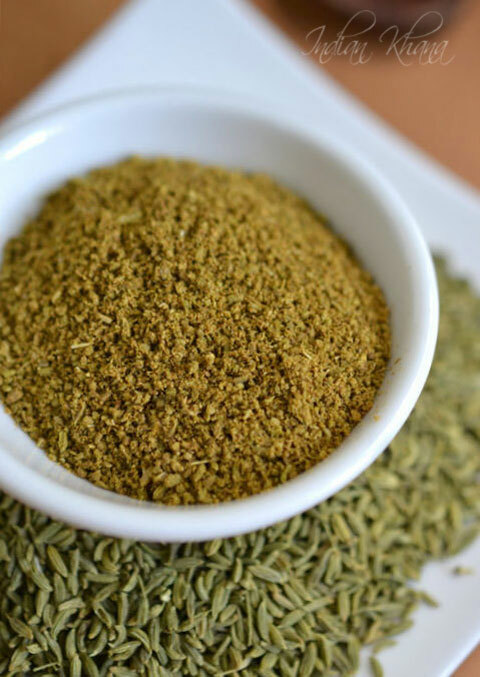 Fennel seeds contains anethole and has lot of medical effects, it's believed fennel seeds improves eye sight and improves milk supply in nursing mothers. 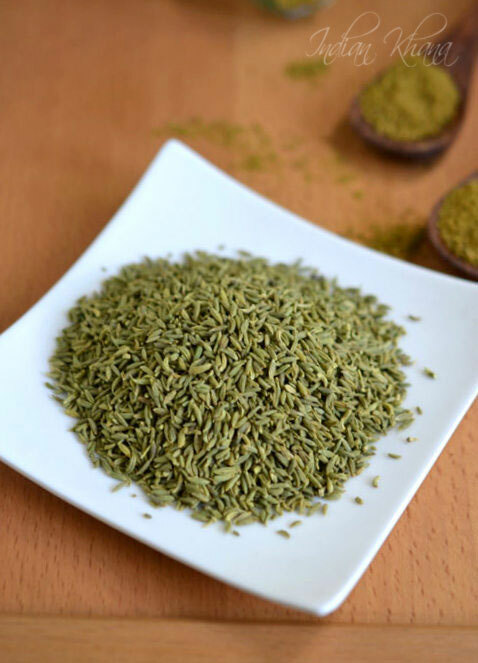 Fennel seeds is also used mouth freshener or sweetener, mostly eaten raw after meal. 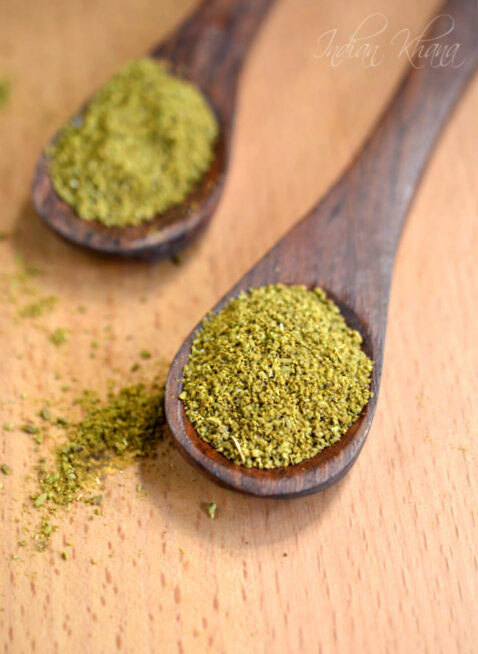 If you follow my blog you would know my love for home made spice powders, listed below few of the home made masala powders you can checkout, check my How-to section here. Heat a pan and roast fennel seeds until light brown and aromatic, takes around 2-3 minutes in slow to medium flame. Allow roasted fennel seeds to cool and grind in a mixer or blender in to coarse powder or fine pwoder. 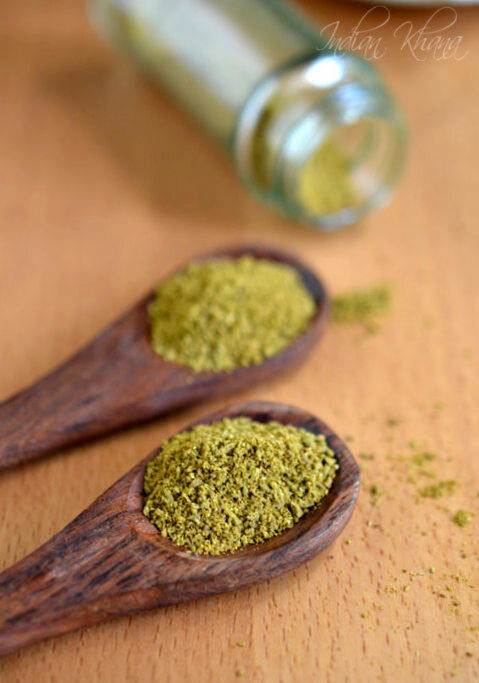 Flavorful homemade fennel powder to enhance your cooking further.